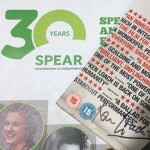 Show your support for SPEAR as part of our anniversary event celebrating 30 years of transforming lives, by taking part in our fabulous fundraising auction on 11th July. 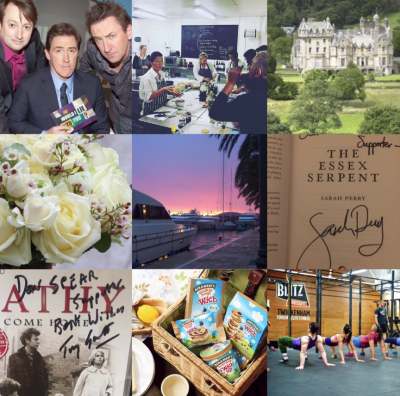 Thanks to the generosity of local businesses and SPEAR supporters both old and new, there is guaranteed to be something for everyone, with prizes ranging from books to bouquets, castles to cooking and yachts to yoga! Sail away into the Spanish sunshine with a three day charter for up to 11 people on board a luxury White Star Charter yacht, win a fabulous one day cookery workshop with the chefs at Heavenly Dish, or get away from it all courtesy of the Tennant family with a week’s stay in the 19th century masterpiece Glen House, nestled away in the beautiful Scottish Borders. Prepare to be amused by affable Welsh comic Rob Brydon, meeting the man himself after enjoying a live performance of panel show ‘Would I Lie to You’, or settle down with signed copies of Waterstone’s book of the year ‘The Essex Serpent’ by Sarah Perry, or with the autobiography and ‘Cathy Come Home’ film memorabilia from producer Tony Garnett. Be put through your paces by the excellent coaches at Blitz CrossFit, with a month’s free conditioning membership or indulge at home instead with Ben & Jerry’s ice cream vouchers, a luxury cosmetic hamper from Ecover/Method and some beautiful blooms donated by local florist Meadow Sweet Flowers. Local businesses Sandy’s Fishmongers and Johnson’s Shoes have pledged gift vouchers and Riverford has offered a cooking session for up to 10 guests PLUS a fruit & veg hamper! Artist and illustrator, Sally Stiff, has donated 2 of her exquisite watercolour paintings. 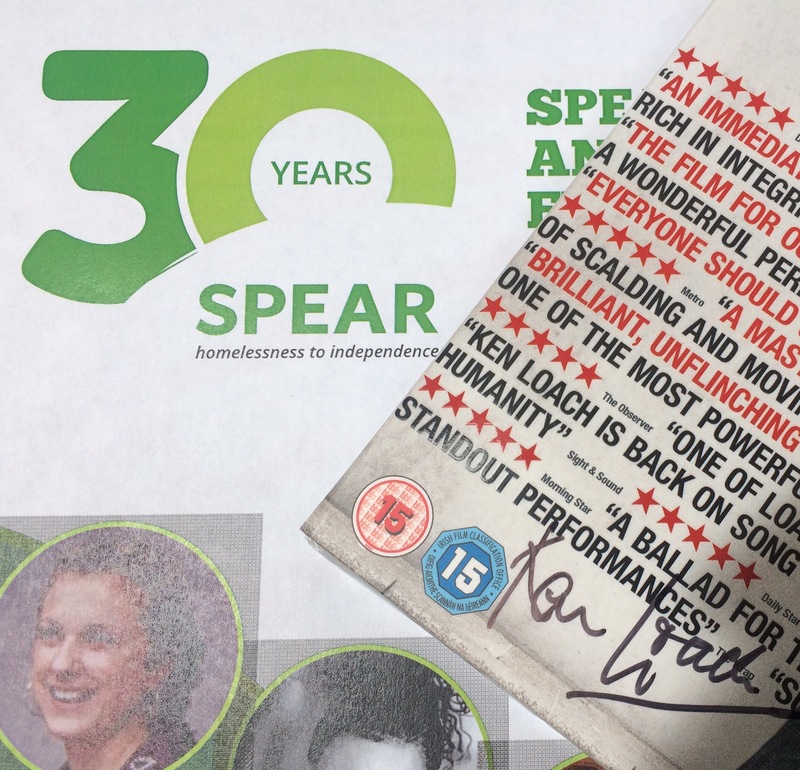 The film maker of our time, Ken Loach has pledged his support for SPEAR by signing a DVD copy of his multi award winning film, I, Daniel Blake, which has, quite rightly been described as ‘The film for our times’. All this and more will be available to bidders at SPEAR’s live and silent auction, hosted by entertaining auctioneer extraordiinaire, James Scott Brown.